The Mobile World Congress usually takes place in February, and as a result this is the biggest month in the calendar for new releases. We look at some of the more memorable devices announced five and ten years ago this month. 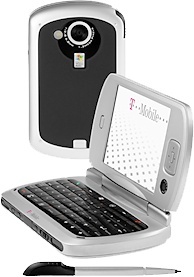 The T-Mobile MDA IV (otherwise known as the HTC Universal and a wide variety of other names) was one of the first smartphones that really did try to offer everything including the kitchen sink. 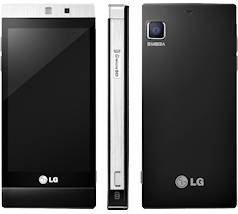 It had a 3.6" VGA-resolution display, QWERTY keyboard, 3G, WiFi and Bluetooth connectivity, dual cameras and expandable memory. The Universal ran Windows Mobile 5.0 and it was probably the most powerful smartphone launched up until that point. It never sold in great numbers and is quite rare today. Motorola announced several devices this month, but not all of them came to market. 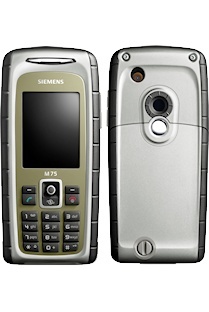 The Motorola SLVR L7 was an attempt to bring RAZR-type design to a monoblock phone. Although we noted at the time that the SLVR had a ramshackle launch, it went on to sell quite well. Alongside it was the Motorola PEBL which tool the same basic package and put it into a pebble-like clamshell, although what eventually got to market was not as interesting as the device that was originally shown. The Motorola E1120 was one of a series of phones that were announced and eventually cancelled. 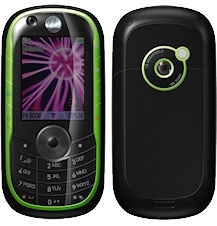 This device had 3G, a QVGA display, expandable memory and a 3 megapixel camera with a photo light, and it ever it had come to market it would have easily out-specified most of the competition. 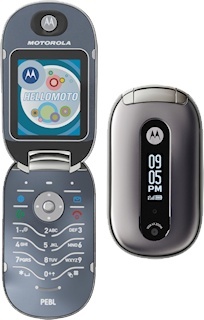 Announced alongside it was the Motorola E1060 which was basically a cheaper but still useful 3G phone, but this was also cancelled. 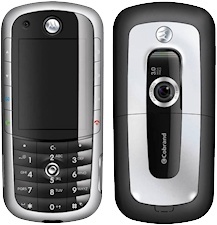 The promising-looking Motorola A1010 smartphone would also have been highly competitive, but this too was canned. Instead, Motorola concentrated on underpowered feature phones such as the RAZR, SLVR and PEBL which eventually led to catastrophe. 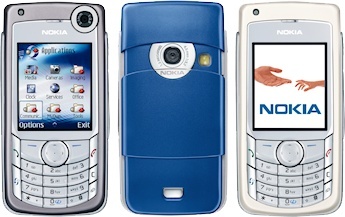 Nokia were beginning to develop some very competitive 3G devices, and the Nokia 6680 ran Symbian (which made it a smartphone, even if it didn't have a touchscreen), supported video calling and also had expandable memory. At this moment in time, Nokia had the edge in usability and the 6680 (and the 2G 6681 and 6682) sold rather well. 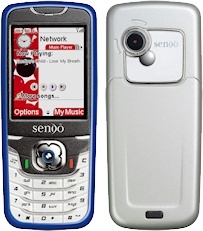 Symbian again featured in the British Sendo X2, a device that would have competed well with everything in its class, except that Sendo went bust and many of their technologies ended up with Motorola instead. Also at MWC we saw the Sony Ericsson K600, a 3G phone in a rather elegant package, the almost impossibly compact 3G Samsung Z500 and the almost impossibly rugged Siemens M75. The HTC Desire was a highly successful Android smartphone with a 3.7" OLED WVGA screen, 1GHz processor and it was very elegantly designed. 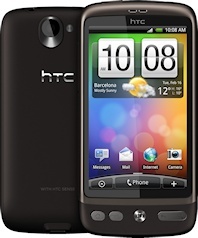 The Desire was one of the first Android 2.1 phones on the market, so it shipped with a much more polished and stable OS than earlier Android devices. 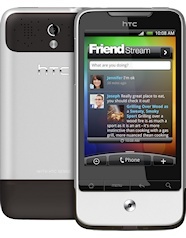 The cheaper HTC Legend was launched alongside it, featuring a more elegant metal design but the modest specifications meant that it never really became a legend at all. 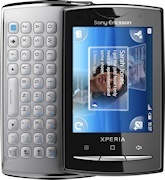 Featuring an absurdly long pair of names, the Sony Ericsson XPERIA X10 Mini and the Sony Ericsson XPERIA X10 Mini Pro were two very tiny Android devices, each featuring a 2.55" QVGA screen and a full Android feature set. The Pro version came with a slide-out QWERTY keyboard, and the standard version weighed just 88 grams. Although they were quite popular, the tiny screen also rendered them fairly useless except for really basic tasks which a feature phone might have done better, and they were quite unlike the superlative full-sized XPERIA X10 in every way. 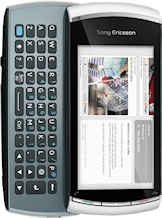 Following on from the Vivaz launched in January, the Sony Ericsson Vivaz Pro added a slide-out QWERTY keyboard and looked promising on paper, but the cheap touchscreen and general consumer indifference towards its Symbian operating system meant that it was something of a failure, and this was Sony Ericsson's final Symbian device. 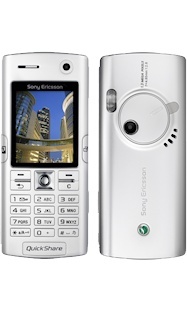 Where the Vivaz marked something of the end of an era for Sony Ericsson, the Sagem Puma phone was the end of an era for this particular niche French manufacturer. 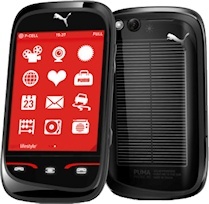 The final Sagem handset to market, this touchscreen feature phone was made in conjunction with sportswear company Puma. Despite some interesting features (such a solar panel), it was not exactly a game changer. Five years ago manufacturers were still trying to sell touchscreen feature phones, with the very elegant and compact LG GD880 featured alongside the LG Cookie Plus, a replacement for the popular Cookie. 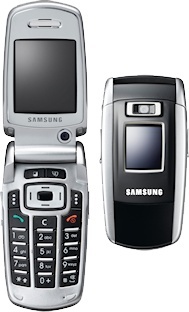 In the end, smartphones simply got cheaper and wiped this sort of device out. 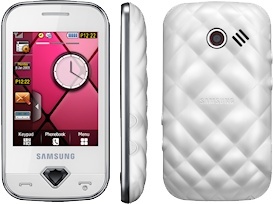 A detour into kitschiness, the Samsung Diva was an attempt to make a "girly" compact touchscreen phone, with a quilted back and a jewel-shaped navigation key on the front. But the feature set was very disappointing, and frankly the whole thing was rather patronising. Toshiba are well-known for their Windows laptops, but they had struggled to make an impact in the smartphone market. The Windows-based Toshiba TG02 and K01 attempted to build on the slightly successful TG01. Although the package had some powerful features, it came at a time when Windows sales were tanking, and the tiny 1000 mAh battery meant that it would run out of juice quite quickly. 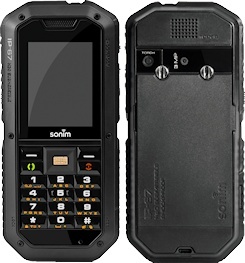 Like the Siemens M75 from five years before, the Sonim XP2 Spirit was designed to be very tough, but Sonim took toughness to an entirely new level. Housed in a tough, waterproof chassis the XP2 Spirit could probably survive just about any environment that you would want to use a phone in. The competition from Android meant that sales of Windows phones had almost collapsed, but Microsoft was not prepared to give up. Instead, they went away and completely rethought how a smartphone should work and they came up with the radical Windows Phone 7 instead. In particular, the user interface was very different from rivals and it felt much more modern, and it was very usable on a small device. However, when Microsoft attempted to add this modern UI to their desktop operating systems then things started to go wrong. 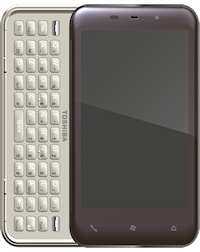 The Maemo-based Nokia N900 had been announced the previous year, and many people were expecting Nokia to announce a follow-up device at MWC. What happened instead was that Nokia announced that they would merge their Maemo OS with Intel's Moblin OS and come up with a new platform called MeeGo. This was a catastrophic decision as it meant that there was no follow-up to the N900 at a crucial time, and Nokia didn't manage to ship a MeeGo phone until late in 2011. This disruptive merger is probably a major reason why Nokia no longer exists as an independent mobile phone manufacturer today, however MeeGo still lives on, having been absorbed into the Tizen and Jolla operating systems.